A former Adelaide aged care worker has been sentenced to at least nine months in jail for assaulting an elderly dementia patient at an eastern suburbs nursing home. Michael Andrew Mullen, 55, was found guilty at trial of an aggravated count of committing assault that caused harm to 72-year-old Elizabeth Hannaford. The Adelaide Magistrates Court heard Mullen was employed as a carer at Lourdes Valley Nursing Home at Myrtle Bank in November 2015 when he struck Mrs Hannaford in the face three times with significant force. It heard he had become frustrated because Ms Hannaford had been repeatedly pulling out cords in her room, trigging an alarm that would require staff to attend. Magistrate Paul Foley sentenced Mullen to 12 months’ jail with a non-parole period of nine months. “There can be no excuse for you assaulting Mrs Hannaford, who was in your care that morning and vulnerable,” he said. “She suffered dementia and depression and required a walker to get around. She was not, and could not present any, threat to you and was unlikely, as a dementia patient, to complain to the authorities. Mrs Hannaford died three months after the assault. Shortly before the sentence was handed down, members of Mrs Hannaford’s family read emotional victim impact statements to the court. Mrs Hannaford’s daughter, Joanna Warde, said that there was nothing physically wrong with her mother before the assault and that she deteriorated quickly as a result of her injuries. “The agony you caused my mum broke me. My heart was, and still is, absolutely shattered,” she said. “Mum would never hurt anybody and definitely did not deserve the pain she went through due to your actions. Ms Warde said Mullen’s not guilty plea and refusal to own up to his actions had subjected her family to a long and draining court process. “To sit in this room and listen to the defence try and tell me that my elderly mother was at fault was gut wrenching,” she said. “To have to hear that her difficult behaviour somehow gave you the right to do what you did was almost unbearable. “Not once have my family or I been given an apology. Not once was my mother given an apology. Not once have you shown even the littlest bit of remorse. Ms Warde told the court that she felt betrayed by Mullen and his employer. “We trusted you and the organisation you worked for to give my mum the care we could not provide her,” she said. Defence lawyer Heath Barklay called for Mullen to receive a suspended sentence or to be allowed to serve the length of his jail term on home detention. “He has paid a personal toll. He has lost his job, lost his career, lost his way in life and has lost, understandably, the respect of many as a result of this finding,” he said. 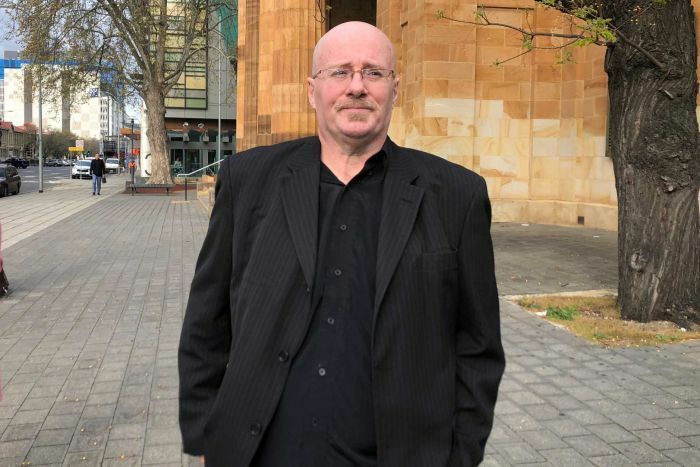 He rejected submissions made by prosecutor Patrick Hill that the assault was premeditated because Mullen had threatened Mrs Hannaford earlier in the night. “It is open for Your Honour to sentence on the basis that there was an overflow of emotions and on the spur of the moment he succumbed to those emotions and committed this offence,” he said. Mr Hill said Mullen was a danger to the community and that any sentence needed to send a clear message that society would not tolerate abuse of the elderly. “The nature of the assault, the breach of trust and in particular the vulnerability of the victim is such… that anything less than a term of imprisonment would not be an appropriate penalty,” he said. 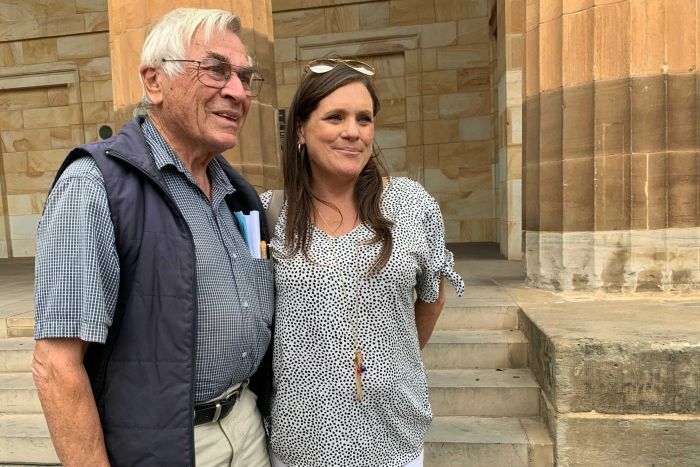 Immediately after the sentence was handed down, Mr Barklay called on the court to grant Mullen home detention bail because he had launched an appeal against his conviction. Mullen was remanded in custody until Thursday when his bail application will be considered.